The ICD-WUDAA Scholarship Program offers annual scholarships to dental students. This program demonstrates concern about the high cost of dental education and its negative impact on the career choices of graduating dentists by doing as much as possible for individual students and raising awareness of the serious issue of dental school student debt. If you would like to submit an application to receive an ICD-WUDAA Scholarship Award, DOWNLOAD THE APPLICATION FORM HERE. *Two (2) scholarship awards in the amount of $2,500 each will be awarded in 2019. On November 26, 2016, the ICD-WUDAA Scholarship Program was officially launched during the ICD International Council Meeting in New York City, with a presentation of the check representing the starting funds donated to the program by WUDAA. WUDAA established a dental student scholarship program years ago after the Washington University Dental School, St. Louis, closed during the 1990’s. 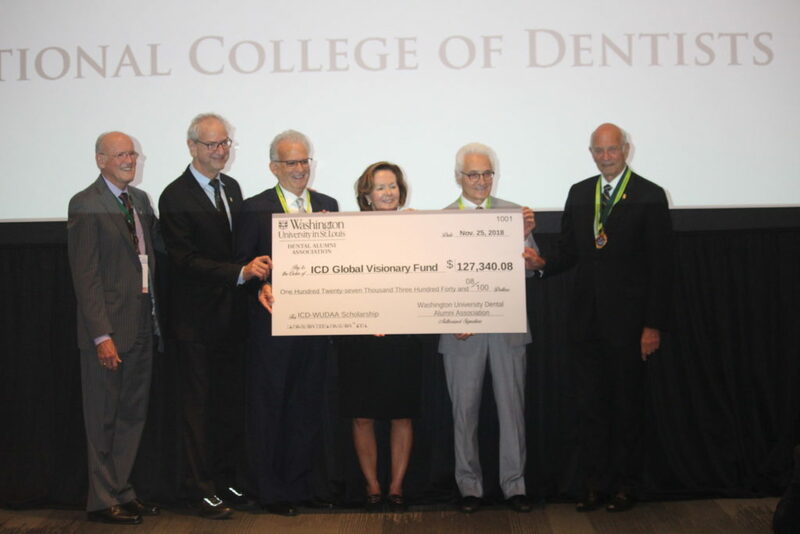 Whereas both ICD and WUDAA have established programs in support of dental students and high-quality dental education, they have agreed to collaborate in the continuation and future growth of the existing WUDAA Scholarship Program. Nominations and letters of endorsement on behalf of student applicants may be submitted by ICD Fellows, Washington University dental alumnus or dental school faculty members. Candidates shall demonstrate financial need and be in good standing at a USA dental school approved by ADA/CODA. International students are eligible.